These resources are specifically provided to assist those who are already familiar with the TWSS program, and are not suggested as stand-alone workbooks. From paragraphs for outlining to mini-books for quick report practice, these source materials make teaching through the IEW units a breeze. Includes "The Elegant Essay." From the Webster's "Blended Structure and Style" to Roddy's "How to Write a Story" you will find a variety of helpful instructional aids here. These are great tools and resources for teachers and students. Includes titles by Victor Pellegrino, and the new "A Word Write Now" by Loranna Schwacofer. 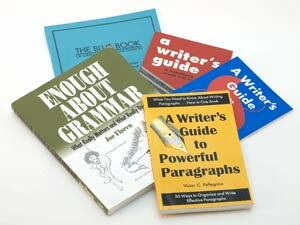 These books both provide instruction and serve as a reference for handling grammar and citation issues. 2007 Convention bonus disc, Teaching with Games, Thomas Jefferson Education, Gatto, Effects of Music, and more! 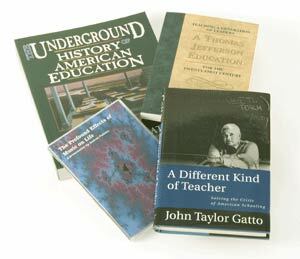 By special arrangement with George Wythe College Press, we are able to offer several of their most important publications at a reduced price for parents and teachers who have read A Thomas Jefferson Education and earnestly desire to implement Leadership Education with their students.